Living with diabetes presents many challenges. Two concerns, however, stand out for most Type 2 Diabetes patients: paying for treatment and adopting lifestyle changes. If you have this chronic disease, you’re looking at a lifetime spending of around $55,000 to $130,000, depending on the severity of the condition and how old you were when diagnosed. This estimate covers treatments, supplies (ex: blood glucose test strips, syringes), and physician visits. It’s likely that your physician has strongly recommended that you make some major lifestyle changes, too. A recent study, after all, has proven that intensive lifestyle management plus standard diabetes treatment can reduce blood sugar levels to a non-diabetic range. With the right connections and information, you can handle the financial and lifestyle aspects of your treatment with ease. If the financial implications of having Type 2 Diabetes worry you the most, we offer a solution: Applying for prescription assistance to get prescription medicine at more affordable rates. Sometimes, qualifying patients even get free medicines from pharmaceutical companies, health providers, and advocacy organizations. Prescription assistance programs are helpful if you don’t have prescription insurance or if your policy has limited coverage. These are services that require a fee, but the savings you get from the discounted medicine is significant enough to make treatment expenses manageable. 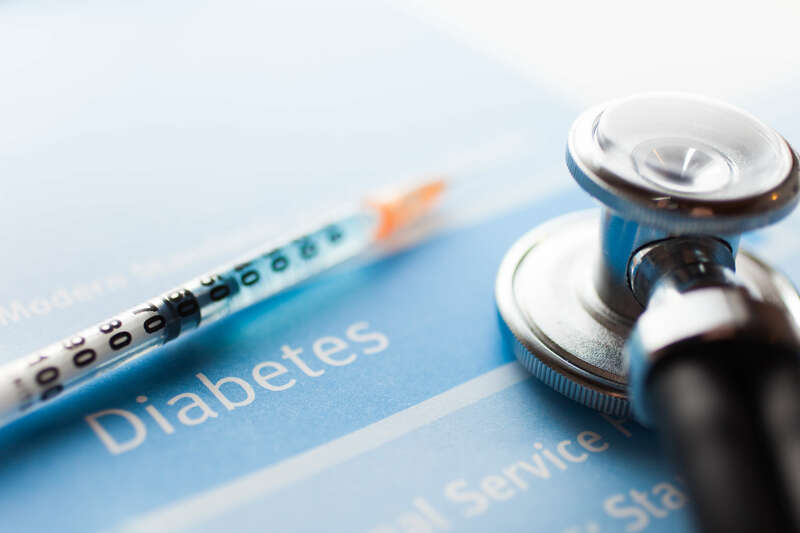 Here at The Rx Solution, we offer a patient assistance program for Victoza — a popular, non-insulin prescription medicine that helps lower blood sugar levels in patients with Type 1 and Type 2 Diabetes. Victoza (liraglutide) regulates blood sugar by targeting processes in the stomach, liver, and pancreas. It is a GLP-1 analog, which means it adopts the GLP-1 incretin’s primary function of slowing glucose absorption. When food enters the small intestine fast, the latter absorbs carbohydrates just as quickly and sends blood glucose levels through the roof. Victoza corrects this by slowing the food exiting from the stomach. It also slows down glycogenolysis in the liver while triggering the pancreas to produce more insulin. Like most drugs, however, Victoza can have unpleasant side-effects. It’s important to discuss them with your physician before buying the medicine or applying for The Rx Solution’s prescription assistance program. Qualifying for our prescription program covers only half of your concerns. To achieve significant health improvement and enjoy the full benefits of Victoza, you also need to adopt a healthier lifestyle. The National Diabetes Education Initiative (NDEI) recommends adults with diabetes perform at least 150 minutes of moderate-intensity activities per week. Examples of these exercises are brisk-walking and dancing. Housework, gardening, and playing with children and pets also qualify as moderate-intensity physical activities. You can spread them out over three days, and the gap days should only be two consecutive days. Maintaining a healthy diet consisting mainly of fresh fruit and non-starchy vegetables is also important. Dairy products and meats are not off-limits, but it’s best to eat them in small portions. Finally, avoid processed and high-carbohydrate food like fast food fare, tinned food, white bread, and microwaveable meals. Type 2 Diabetes has no known cure, but you can control its symptoms and effects on your body. By practicing lifestyle changes and faithfully taking prescriptions, you can keep enjoying life to the fullest. As you work on developing a healthier lifestyle, don’t forget to apply for our prescription program assistance. By easing your financial burden and giving you access to Victoza, The Rx Solution can help you manage your illness.